Have you gotten bit by the Janky collector bug yet? 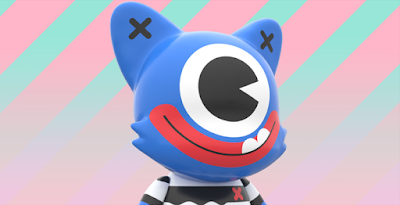 If so, then you’ve probably already backed SUPERPLASTIC’S new JANKY Limited Edition Art Toy Kickstarter Campaign! And if not, then you’re missing out on some really cool new designer vinyl figures. 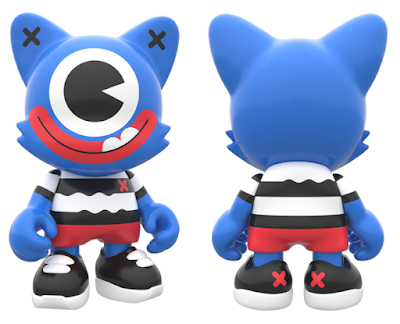 Along with a new blind box artist series of 3” Janky vinyl figures, SUPERPLASTIC has also released a limited edition 8” SuperJanky exclusively as part of their KS campaign. Check out the super cute BE-NI-TO SuperJanky by Mexican artist El Grand Chamaco. The Limited Eye-Strain Blue Edition BE-NI-TO SuperJanky stands 8” tall and is limited to just 666 pieces. But the only way to get one is by pledging to back SUPERPLASTIC’s JANKY Kickstarter campaign! This is the first ever SuperJanky released, so you definitely don’t want to miss out on this one. Collectors can purchase one by just adding $65 to any one of the really awesome JANKY pledge levels available now, or by pledging at a level that includes this supersized figure.